Meet our awesome team and check out our salon stylist experts! 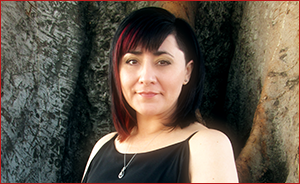 Cynthia is the salon owner as well as a creative stylist and talented barber with over 16 years of experience. She has mastered the art of barbering and also specializes in color, highlights and lowlights. Cynthia takes pride in assuring that every client leaves the salon feeling happy, satisfied and beautiful. My name is Karla. ​I love the art of hair. I pride myself in working with my clients and finding a style that fits their lifestyle. I graduated LATC in 2014 and soon started working in Beverly Hills. I've worked numerous runway shows and concerts. Giving back to the community is a big passion of mine. Volunteering for City of Hope and making little princesses a dream come true was a blessing. I would love to be a part of your transformation and I'm currently accepting new clients. Hello Beautiful's!! My name is McKenna Pacheco. My passion is making everyone feel confident about themselves and walking around with my magic that was made. 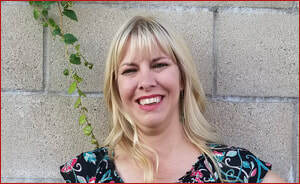 I have been doing hair since 2016 and went to Fullerton College Cosmetology. I am always up to date with the newest trends and being motivated by the amazing, hard working stylists on social media that the world has to offer. 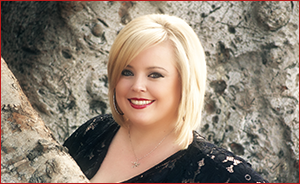 Kristin Taff has been in the hair industry since 2002. She loves color in all things, especially in Hair. She studied with Michael Shawn Corby of "Living Proof" and "Alterna". She loves meeting new clients and developing new friendships or as she says "Hairship". I always am welcome to new clients and can't wait to meet you. Ruby is a creative hair designer with experience in styling, hair cutting, coloring, updos and more. While Ruby was educated at the Paul Mitchell School of Cosmetology she was awarded Best in Creativity which inspired her to design for Hair shows, Runway and Fashion Magazines. Ruby's passion is to bring your inner beauty to the surface and let people see what’s inside you. Jeannie has been a nail technician for over 12 years. She specializes in Acrylic Nails, Pink & White and Massage. Her years of experience with a diverse clientele makes her more than qualified to meet all of your nail care needs. Hello Beautiful! My name is Nadine Jazmin and my passion is here at The Hair Stop. A dedicated stylist since 2013, I am constantly inspired by my amazing clients, motivated stylists, and this wonderful beauty industry. I particularly specialize in hair cutting, style, and color correction - using balayage techniques as well as traditional coloring methods such as highlights and color matching. Currently, I am accepting new clients by online booking; walk-ins are welcome.